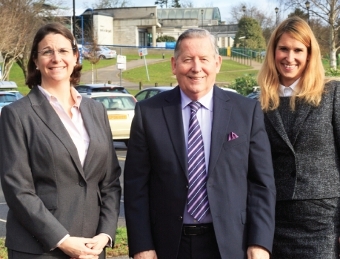 THE council have agreed to allocate an area of car park near Woking Leisure Centre to enable the borough’s first free school to open in September. Subject to planning permission, Hoe Valley Secondary School will be set up for two years in temporary premises to meet the needs of pupils in south Woking, the area it is designed to serve. The old coach park is an unsurfaced area that has been used as a contractor’s compound for the new play area. The plan is for the school, which is already oversubscribed for its first intake of 120 Year 7 children, to have access to leisure, catering and recreation facilities in the Woking Park area. The council will provide the land free of charge, while the school itself will be bankrolled by the Education Funding Agency. Cllr Ian Johnson said: “It is great that we can help the school get started without cost to local taxpayers. “Some residents will be concerned about the impact the school may have and I will certainly do all I can to ensure this is kept to a minimum. It is for a good reason – it is for the community. One and two-storey purpose-built portable classrooms will house the first intakes of children over the next two years. Vice Chairman of Governors, Claerwyn Hamilton-Wilkes, said: “I’ve been working on the project for two-and-a-half years and the county council have been very supportive – especially Cllr Linda Kemeny (Cabinet Member for Schools and Learning). “We are delighted the borough council have agreed to help us with this temporary site. It means we can start in September in fit-for-purpose buildings. Penny Alford, who comes from a large academy trust in London, teaching 11 to 19-year-olds, was appointed Headteacher of Hoe Valley School in September. She said: “I am absolutely delighted to be so well positioned for access to outstanding local sports and recreational facilities. We can build our timetable around the opportunities the location offers. To ease new pupils into secondary school life and meet their headteacher, a workshop is being held next month for some of them to create their own uniform. The intake for the first year will be 120, followed by another 120 in September 2016, and hopefully the permanent building will have been constructed in time for the 2017 intake. The school will go up to and include a sixth form, which could be open to students from other schools. Penny has a progressive, open approach to education, with the core subjects of English and maths firmly rooted. She plans to raise pupils’ aspirations via the teachers, to shape the curriculum according to the local skills gaps, and to teach how subjects apply in the real world. To that effect, Mr Morgan said the council are in the process of installing free wifi for everyone in the town, which it is hoped will be rolled out as far as Woking Park by September. The planning application is likely to be submitted by the end of February.